IRRI hosted three workshops on greenhouse gas (GHG) emissions from rice production on 21-24 January 2013. Scientists from Japan, China, India, and Southeast Asia as well as from various universities and the Climate Change, Agriculture, and Food Security program of the CGIAR attended the events to discuss GHG emission inventories and mitigation assessments. The first of the three workshops marked the launch of the GHG Mitigation in Irrigated Rice Systems: Guidelines from Measurement, Reporting, and Verification (MIRSA) project. 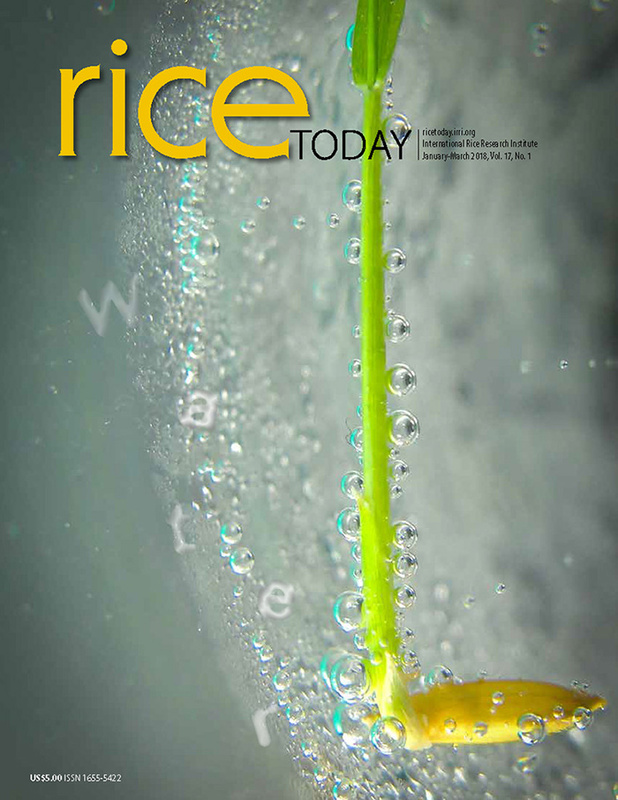 The project assesses the feasibility of GHG mitigation through alternate wetting and drying (AWD) technology in different rice-growing regions of Vietnam and the Philippines. AWD is a water-saving technology that lowland rice farmers can use to reduce their water use in irrigated fields. The MIRSA project, funded by the Japanese Ministry of Agriculture, Forestry and Fisheries for one year, will use GHG emissions data from other IRRI activities. This project is composed of IRRI, as the lead organization; the National Institute of Agro-Environmental Science, Japan; and Hue University of Agriculture and Forestry, Vietnam. The second workshop was a meeting of the Paddy Rice Group of the Global Research Alliance (GRA) on Agricultural Greenhouse Gases on its ongoing activities and action plan. GRA has more than 30 member countries from all regions of the world. The GRA Paddy Rice Group, co-chaired by Japan and Uruguay, aims to reduce emissions of paddy rice cultivation systems while improving overall production efficiency. Several IRRI scientists described new trends in crop management at the event. Participants visited IRRI’s farms to see different experiments on ecological intensification; work on the Impact on Carbon, Nitrogen and Water Budgets project; straw burning. They also visited the field sites of a new IRRI-PhilRice collaborative project on GHG emissions and AWD technology adoption in the Angat-Maasim Rivers Irrigation System in Bulacan province. The third workshop, Assessment Group for a Rice Emission Decision Support Tool, capped off the workshop series. The Group is part of a broader initiative, The Agricultural Synergies Project: Guidance for Integrating REDD+ and Agriculture. Among its objectives is the development of a decision support tool outline to evaluate the costs and practical issues involved in potential emission changes due to crop management. The meeting was co-chaired by Dr. Reiner Wassmann, IRRI’s climate change expert and coordinator of its climate change research program; Dr. Timothy Searchinger of Princeton University; and T.K. Adhya of Kalinga Institute in India.